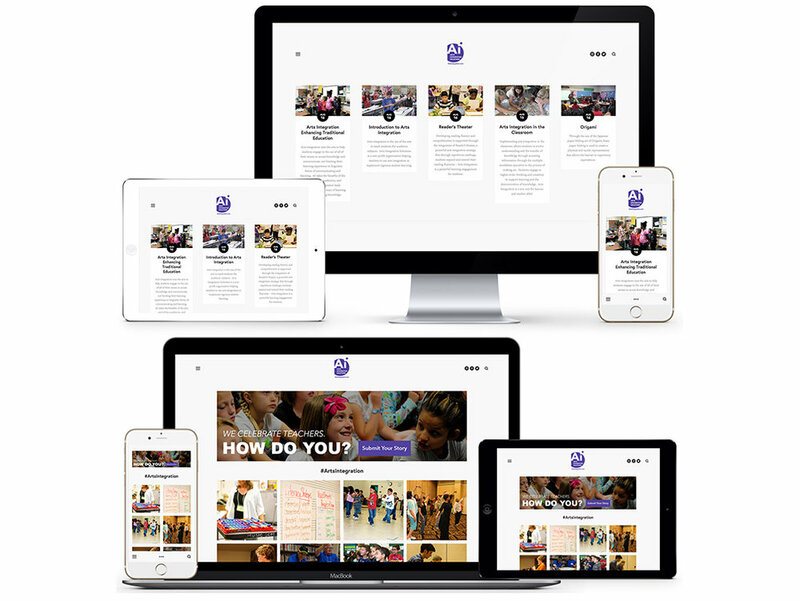 The AZDS Propel Foundation ideated with the leadership of Arts Integration Solutions to provide a new web experience, highlighted by frequently changing short video content on the home page that includes arts integration lesson plans. Teachers around the globe are able to use these resources free of charge to expand upon their curriculum and provide their students a more robust and engaging learning experience. The AZDS Propel Foundation also works with Arts Integration Solutions on other efforts to expand arts in the classroom through SEO, co-developing a webinar series, social media marketing, and successfully obtaining a $50,000 Google Adwords grant in furtherance of our SEM efforts. AZDS Propel was very excited to work with the Denver Art Museum in their efforts to create a “buzz” around their newest project: renovating the Gio Ponti-designed North Building. Propel vetted and provided recommendations for a new donation and crowdfunding platform to support their campaign as well as the Buzzbee trailer, which helped serve the museum’s student visitors while the North Building was being renovated. These donations helped the more than 50,000 school kids experience a museum visit that artfully incorporates subjects like, math, language, science and history. Propel also created a campaign strategy plan to generate donations and awareness for the re-envisioned North Building. This strategy plan also included a list of social influencers and gamebook to generate buzz around the crowdfunding campaign. Finally, Propel designed and coded a new email template for DAM in furthering their email marketing efforts. The AZDS Propel Foundation created a beautiful new web experience for Notes for Education to tell the story of how and why Notes was founded, as well as how it will touch thousands of students in the decades to come, providing them a more well-rounded education, developing creative thought leadership, and fostering creativity through music education. The AZDS Propel Foundation is also working with SnapShot Interactive to develop a short film, highlighting Notes for Education charity events and interviewing students and teachers who have been positively impacted. AZDS Propel partnered with mindSpark Learning, a nonprofit dedicated to elevating education with fully customizable and unique professional learning experiences for educators, by educators. Propel created several rounds of SEO strategy for mindSpark, both for their previous website as well as their brand new website. Additionally, Propel provided ongoing website maintenance support and and ran a Google Analytics analysis on their account. Most notably, Propel refreshed and updated mindSpark’s SEM efforts through Google AdWords by rebuilding their campaigns and ensuring that their Google AdWords grant would be maximized. Finally, Propel designed and delivered a mocked up blog page for mindSpark. If you are an arts education foundation or a charity that supports that arts, and are interested in working with Propel and receiving a free web development and digital marketing services, please contact us in the form below. We look forward to hearing from you.